Have you ever wondered what it takes to be at the top of your game in business or life? Have you watched great athletes or leaders achieve outstanding results? Do you feel you have what it takes to do the same? Attitudes are shaped early in your life and influenced by your caregivers, teachers and peers. How you perceive things effects your outcome. Developing the right attitude, a healthy good one where you perceive the opportunities and solutions that allows you to deal with whatever comes your way. Building confidence impacts your capacity as a performer and what you can cope with. It builds trust and hope. When failure or mistakes occur, confidence helps you bounce back with determination and fight the self-doubt that may arise. To have courage is to have heart and act bravely even when fear is present. Courage allows you to face the fear and knock it out of your way. When things go wrong, courage keeps you moving forward. It helps you battle fatigue, competitors or injuries. When I talk about discipline I reference mental discipline. Mental discipline is the ability to stay focused on task and eliminate distractions both internal and external. As a champion you know what direction you want to take and how to take it. You have the ability to control your mind. Mental discipline takes great effort and focus which helps you effectively execute. Concentration is about laser focus and awareness during performance. Void of thought and distraction and ability to execute. Mind is clear and concentration is on the task at hand. Having intelligence gives you the edge. It allows you to know what is require. You can determine the techniques and skills that are needed. You can develop a strategy and focus on what is necessary to execute a plan. Intelligence allows you to analyze and adjust what is needed especially when problems arise. This is the will to win. Relentlessness is the ability to do the right thing, to persist and execute even when times are turbulent. You learn to stay the course, battle through adversity and stay focused. These are just 7 of the traits and there are more. These are traits that you may have and if not they can be learned. Reflect on which ones you have and those you want to develop. Are you exploring alternative ways to earn a living? 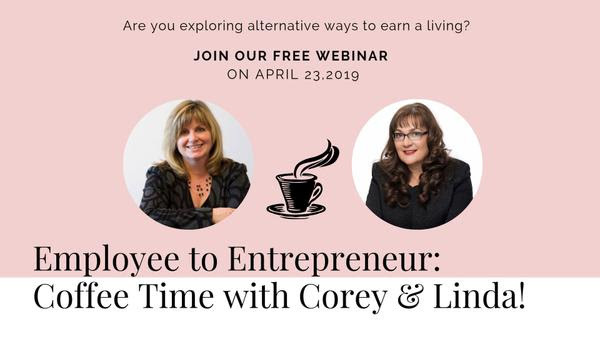 Employee to Entrepreneur: Coffee Time with Corey & Linda! PLEASE NOTE: if you find that clicking any of the links within this email are not working for you, copy and paste the entire URL into the address bar of your browser. Don’t miss this very special event! I strongly encourage you to attend the live call. However, even if you can’t make the call live, make sure to register so you can receive the replay recording. “See” you on the call! Do you feel stuck, overwhelmed and unable to take action? Many people have a hard time slowing down their brain or clearing the thoughts in their mind. Thoughts often come at whirlwind speed, and it can be hard to concentrate on the tasks at hand be it our work, our home life, or maybe our sports performance. When so many thoughts are floating around in the mind it creates what I call “mental chatter or chaos”. I have always been blessed to be surrounded by powerful women who inspired and made me grow personally and professionally. There were trail blazers who led the way and had great impact on my life and destination. I’d like to pay tribute to them by highlighting some of the key qualities they reflected and instilled in me. They paved the way for me to become the person I am today and guided me to do what I do best. Let me share with you the top qualities of successful women and leaders. Superbowl & 5 Steps to Make a Comeback! When things seem to be going downhill be it in your career, your life or sports are you able to turn it around? Can you stop the spiral downwards and get back on track? On Sunday, I watched the New England Patriots make a comeback as they beat the Los Angelos Rams 13-3. The year before the Patriots were beaten by Philadelphia Eagles with 1 quarter left and wondered how Tom Brady felt. Determined, driven to change the outcome this year? Yes! Did he dwell on last years defeat? No, as he is a leader with accurate passing, heart and grit – and that delivered him his 6th Super Bowl ring. What does he credit it to? The team and mental toughness, which included laser focus, a skill I teach. He gained back control, and with the help of his team mates, Tom Brady made a comeback – winning Super Bowl 2019. Sometimes it comes down to the crunch and you are unsure if you can turn things around. So what do you do if you want to make a comeback? 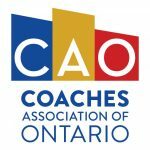 If you ever taken on a new role or position in your career or sport where the skill level was more of a challenge than you had before, then you know how it feels to make a change. Maybe you have some big changes that are coming your way in 2019 and you are unsure how you’ll cope. You can learn the mental performance techniques of some of the most successful people and athletes. If you want to keep your head in the game and excel in all you do, then you’ll want to listen to my webinar. Christmas is tomorrow! While we are all busy getting busy for the festive day, this holiday also reminds me of someone special, my mother. My Mother was a woman full of passion and laughter who followed her dreams but they unfortunately were cut short at the age of 43 when she died of a heart attack. Christmas is when she is remembered the most as it was her favorite time. When I think back to Christmas with her I remember laughter, card games, family and friends and wonderful gifts. She always knew just what everyone wanted and made sure they received their special gifts. Holiday stress can bring many joys and celebrations. It can also bring headaches and heartache. Some embrace it and welcome the hectic pace; parties and gift giving, while others may hibernate and avoid it. For those feeling stressed during this busy time I’d like to share some tips and advice so that you can put stress to the test and deal with it. I use stress almost like an antibody and instead of letting it stop me in my tracks, I look at it as an energizer and develop a plan to conquer it. When life gets challenging the last thing you want to do is celebrate and be festive. So what if you don’t feel like celebrating the holidays? How do you flick back the switch and light up? Do you have a dream vacation? Do you like adventure or a challenge? Planning something exciting for 2019? Are you about to go over the Edge? STOP! September flew by and was an AMAZING month for me. It began with Dr. Joe Dispenza’s Advanced Workshop that I’ve been waiting 2 years to attend. ​​​​​​​​​​​​​​At this workshop, he sent us over the edge, literally! With this 10 min audio to relax, release stress and get results.